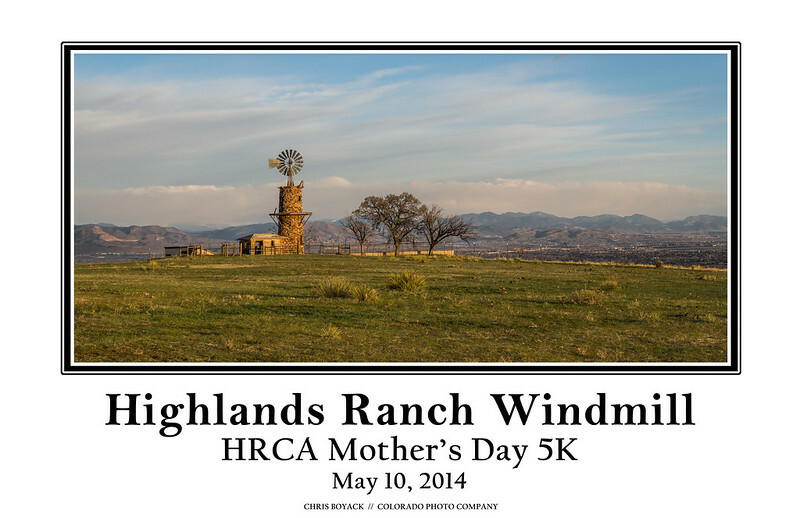 Tomorrow is the second race in the 2014 Highlands Ranch Race Series. The Mother’s Day 5K is being run on a course that is normally off-limits to the public. 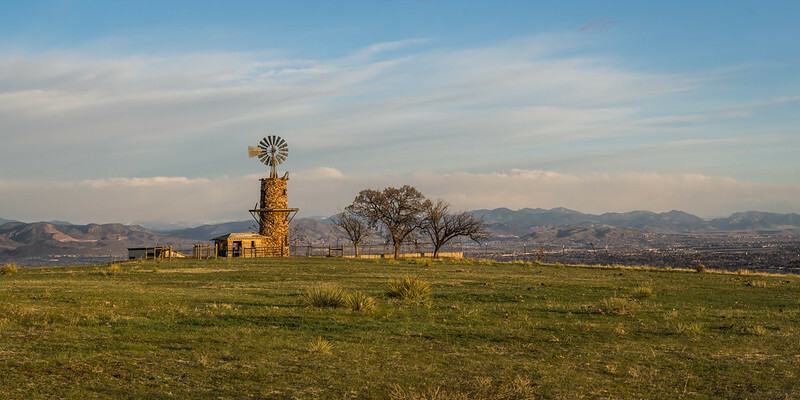 It takes place almost entirely on private land occupied by the Highlands Ranch mansion and is currently being used for cattle grazing. 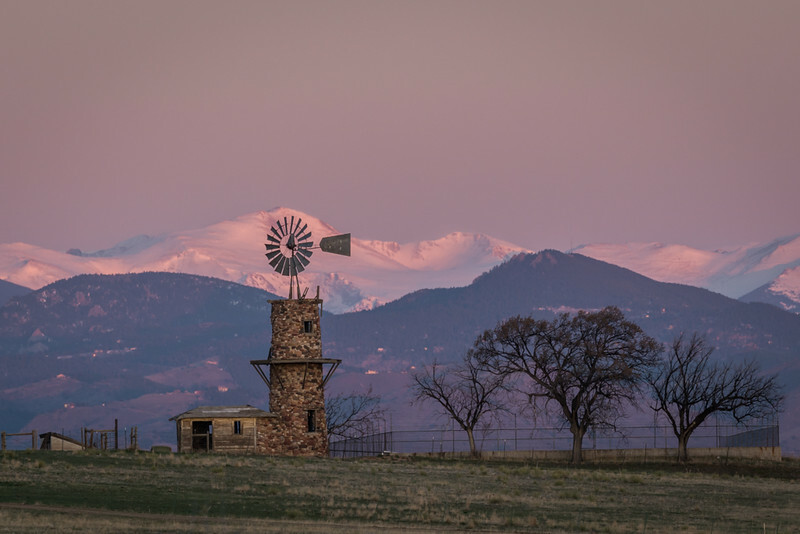 It is a unique historical property, that gives visitors a feel for what the area was like before the development of Highlands Ranch. 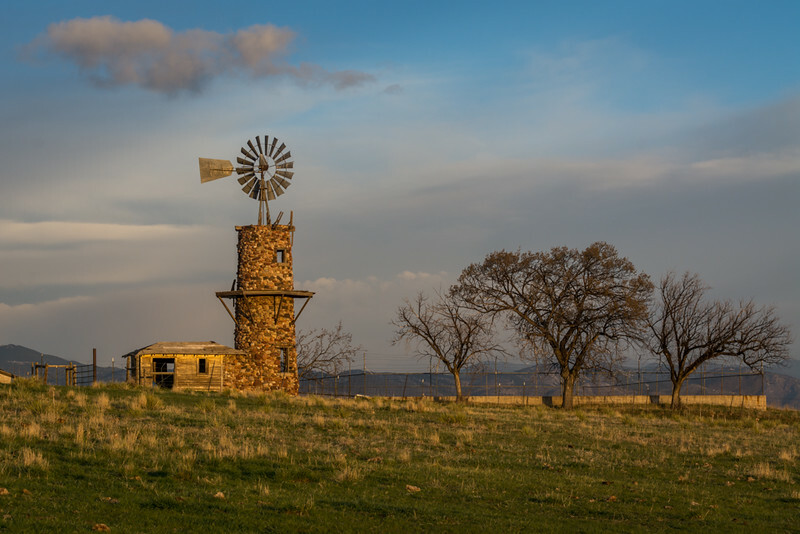 The old stone windmill is the iconic feature of the area, and offers a commanding view of the city below and of the mountains in the distance. 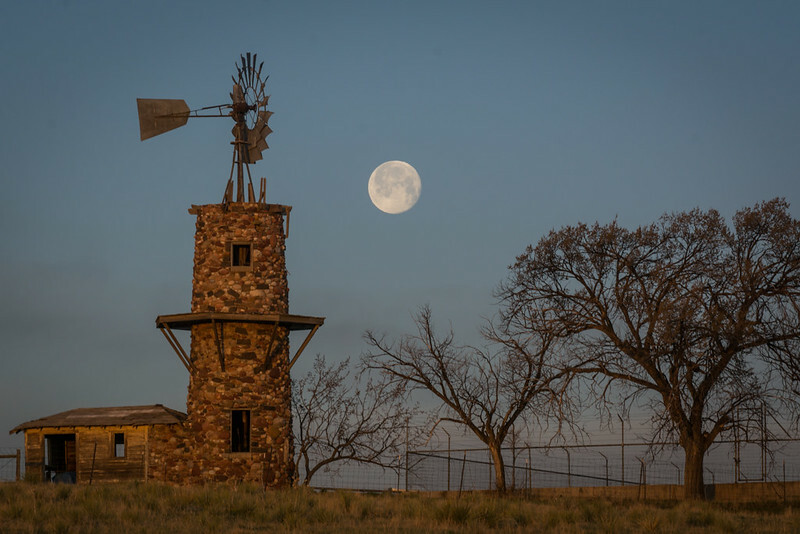 I was asked to create an image of the windmill to use as the first place finisher awards for the race, and was given access to the property to get some shots. It was a fun process, I enjoyed the ‘assignment’ aspect that gave the process a different feel from what I normally do. 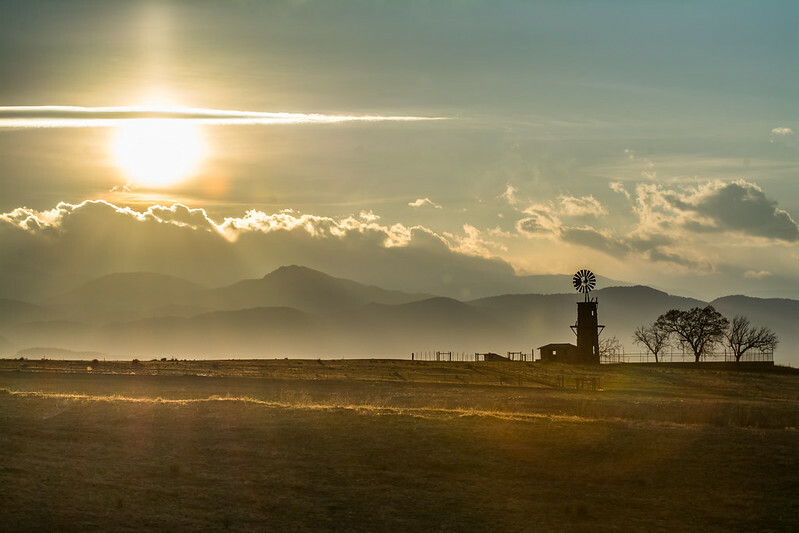 I made three trips to the area at different times of day and collected the following photos. 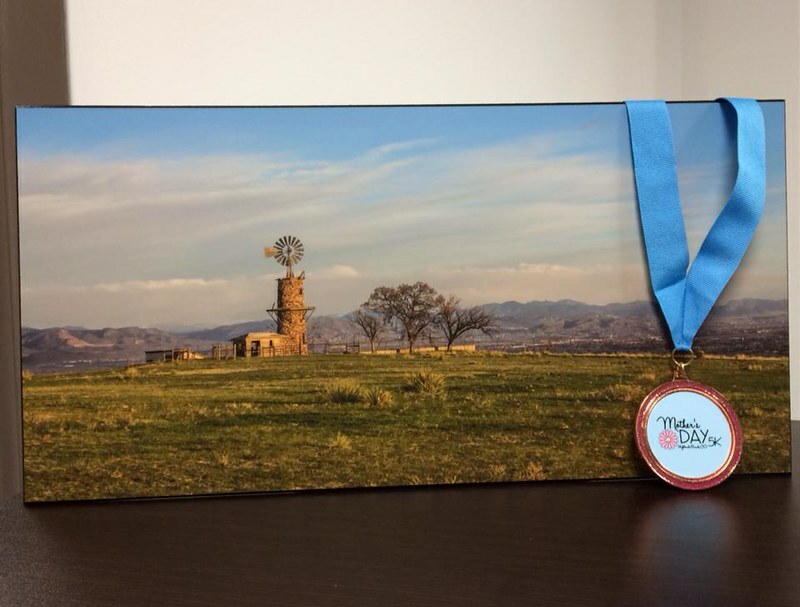 The Race Director selected the morning panoramic shot to use for the awards, and had Mona’s Art to Go in Steamboat Springs mount them using their special frameless mounting process to create the final product. I used the same image to create a commemorative 11 x 17 print that some of the runners have been purchasing in advance of the race. We will also be selling it at the Colorado Photo Company booth on race morning. 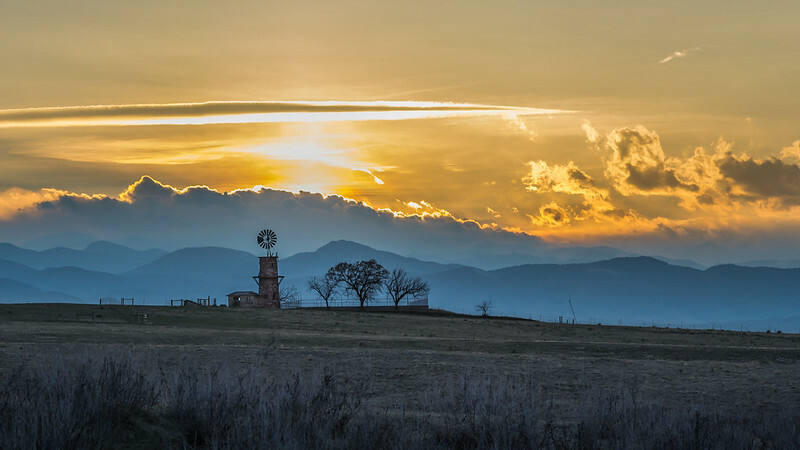 The prints can be purchased through this link. It’s looking to be a great event, with over 500 runners registered so far. Remember to smile for the camera! Posted on May 9, 2014, in photography, run. Bookmark the permalink. 2 Comments. I personally would have gone with photo #2 because that sky is simply spectacular. Regardless, they are all pretty damn good shots! Ya, that is definitely a clear favorite. I think they ended up going with the other one because it was more representative of the view the runners would be experiencing on race morning. Thanks, Jaime!